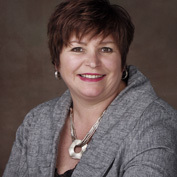 Patricia Lefebvre has been Director of Quality, Evaluation, Performance and Ethics at the MUHC since 2010. She completed an EXTRA Fellowship with the Canadian Foundation for Healthcare Improvement, committed to practicing and championing evidence-informed decision-making in Canadian health systems. Over the last 15 years, she has been a member of the Board of Directors of the Patient Safety Institute and the Groupe Vigilance pour la sécurité des soins, and is a current member of the Board of Directors of the l’Institut national d’excellence en santé et services sociaux (INESSS). These positions have enabled her to contribute to legislative changes and the development of policies relating to quality and safety in health care both provincially and across Canada. Ms. Lefebvre holds an honorary degree from the Université de Montréal in recognition of her leadership, her accomplishments and her professional influence, and the Award of Merit from the Montreal General Hospital in recognition of her outstanding contribution to the institution. She is a Fellow of the Canadian Society of Hospital Pharmacists and of the Ordre des pharmaciens du Québec.